I love tea. Some of you may have read my series on tea here on the blog. I am always in search of new teas to try. 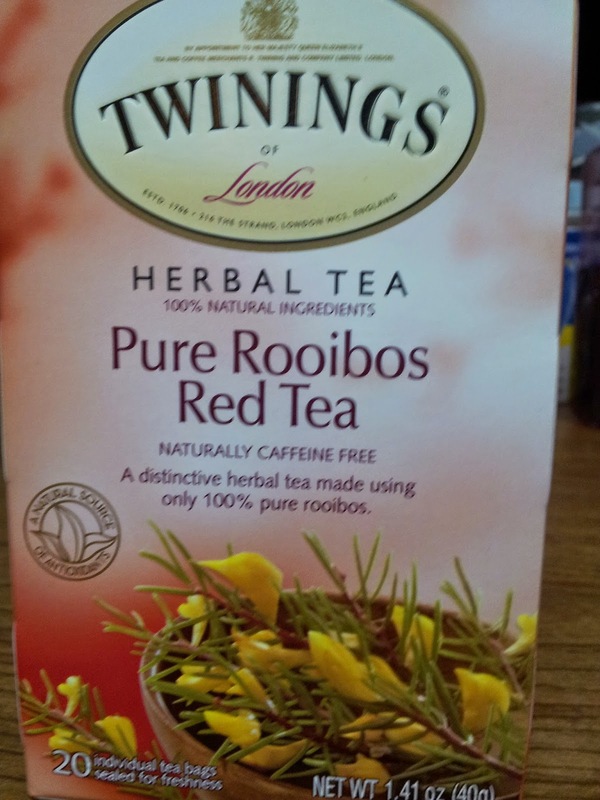 I discovered Rooibos tea a few years ago but have not really had much of it over the years. I was shopping in the local grocery store and found that Twinings has started selling it. I have had a sore throat for about two weeks on and off and I have read that it is great for treating sore throats. It is also suppose to be a mild anti-inflammatory so it helps with arthritis and other inflammation in the body. I am really just starting to learn more about it and I am glad I found it today in the grocery store. Want to learn more about Rooibos Tea yourself? Check this out!